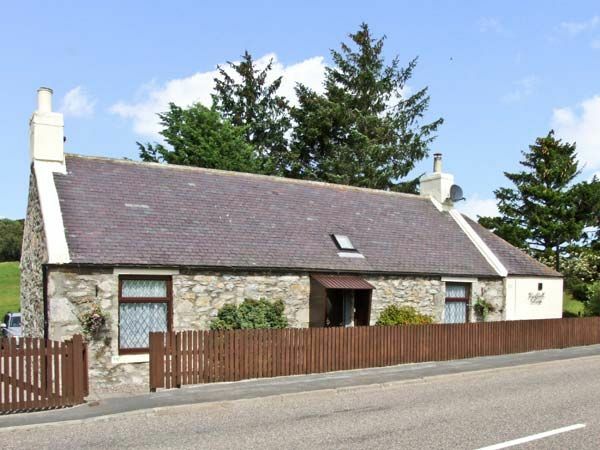 This ground floor cottage is located in the village of Drummuir in Scotland and can sleep four people in two bedrooms. Blackhall Cottage is a traditional detached cottage on the edge of the Moray village of Drummuir in Northern Scotland. The cottage has one double bedroom, one twin room and a shower room making it suitable for four people. Also in the cottage is a fitted kitchen and a sitting room with a dining area and a woodburning stove. Outside the cottage is off road parking for two cars and a patio with outdoor furniture. Set in glorious countryside, Blackhall Cottage is an ideal property for a rural retreat in Northern Scotland. Note: This property is suitable for children aged 12 and over only. 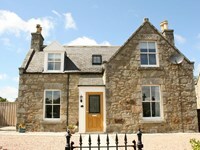 Blackhall Cottage - A holiday cottage in Moray, Scotland. Book your next beach holiday through British Beaches.